Connects desk and return as well as other components to provide more space. 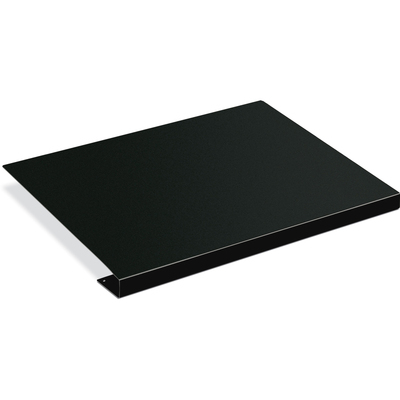 Worksurface is high-pressure laminate with steel-reinforced top for superior rigidity and strength. Attaches (hardware included) to underside to provide space for computer peripherals. Keyboard platform (sold separately) can mount below. Connects desk and return as well as other components to provide more space. Worksurface is high-pressure laminate with steel-reinforced top for superior rigidity and strength. Radius edge. Attaches (hardware included) to underside to provide space for computer peripherals. Keyboard platform (sold separately) can mount below. Black. 22 1/2w x 18d. Meets or exceeds ANSI/BIFMA standards.